Special judge Arvind Kumar directed the jail authorities to bring the CCTV recording of February 13 to 17 of jail number 7, where Michel was kept last month. 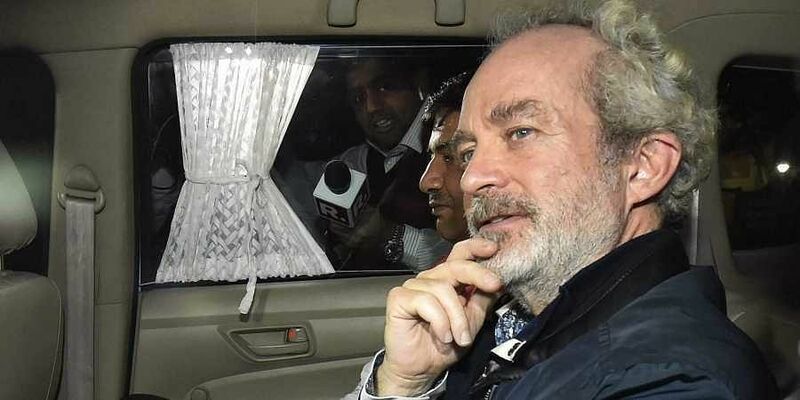 The court had earlier sought the CCTV footage of jail number 1 and after going through it, had noted that the premises were clean and that good facilities were provided to Michel. On March 14, the jail authorities had denied the allegations of torture levelled by Michel. Special public prosecutors D P Singh and N K Matta, appearing for the Central Bureau of Investigation (CBI) and the Enforcement Directorate (ED) respectively, had told the court that the accused was a foreigner and was brought to India through extradition. ED's counsel Samvedna Verma had told the court that "there is a responsibility of the country to ensure his security as per the treaty". On March 12, Michel had told the court that former CBI special director Rakesh Asthana had met him in Dubai and had threatened to "make his life hell inside jail" here if he did not toe the line of the agency. "Sometime ago, Rakesh Asthana had met me in Dubai and had threatened that my life would be made hell in the jail and that is what is going on. My next door inmate is (gangster) Chhota Rajan. I do not understand what crime I have committed to be put along with terrorists and those who have killed several people," he had said. The jail authorities had said Michel was shifted to a high-risk prison considering threats to his life. The accused was arrested by the ED on December 22 last year after his extradition from Dubai. The court had previously lashed out at the jail authorities for failing to justify the shifting of Michel to a high-security cell in isolation, saying it would order an inquiry if it did not get a proper response.